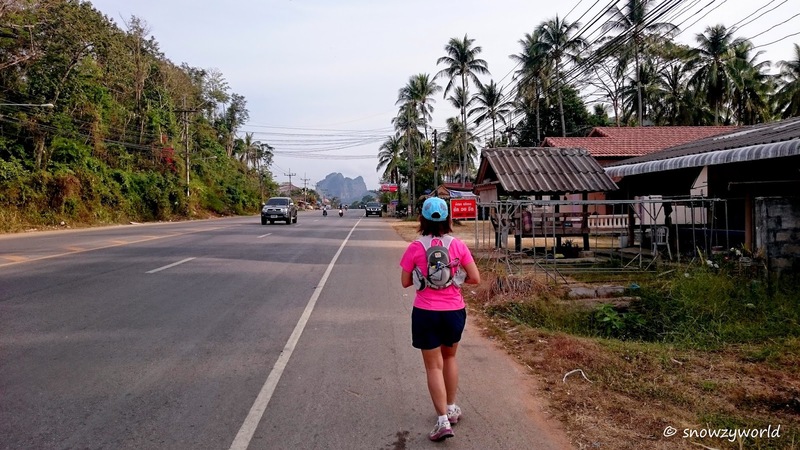 The husband decided that he needed to continue training for the PJ IM even while holidaying in Krabi.. so the day after my birthday, we did a run from our resort in Ao Nang all the way to Wat Tham Seua or also known as Tiger Cave Temple which was near to Krabi Town. Plotted the running route entirely by Google map, it showed a route that is about 20km long which at a normal pace will get us there in no more than 3 hours. We started our day early. After a light breakfast at our resort, we got ready and started our run at about 8am. Turning on GPS and using Google map, we tried to follow the route closely. There were times when we missed a turn and have to run back to find the turn. On some roads we saw dogs looking intently at us or barking at us such that we had to find alternate road. Some roads were quite impossible to run, we have to look for other roads. Guess all this add up to more distance to run and more time wasted. Along the way, we will stop by any mini mart to buy “motivation” water to quench our thirst and push us on. 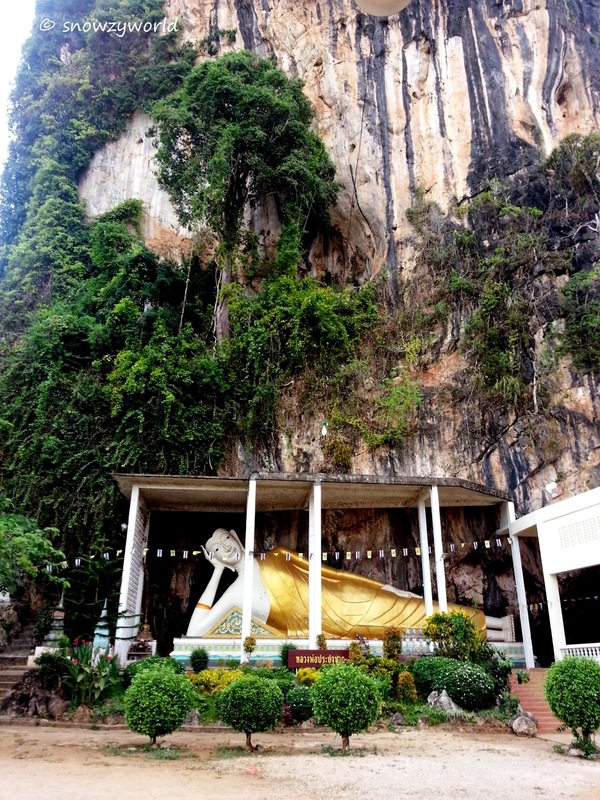 While running toward Krabi Town, we passed by this temple with a big Buddha statue inside and decided to go and take a look. There’s also a seashell fossil showroom in the temple. 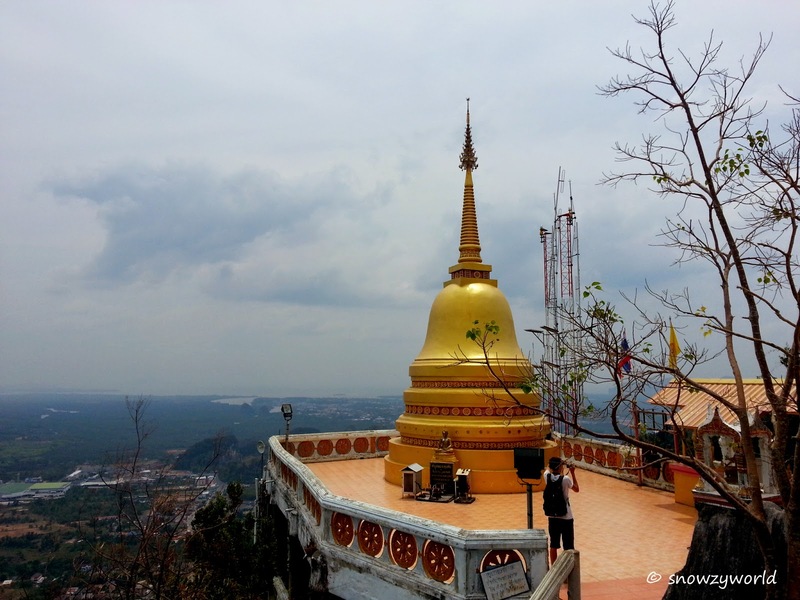 Our destination was the Wat Tham Seua (or Tiger Cave Temple). When we reached a stadium, Google map “instructed” us to go round the stadium and than turn somewhere into street. We could not find the way to turn and a friendly lady came to help us. She led us to a little path, which was so narrow that I lost my footing and fall. Luckily I managed to hold on to the plants in front of me, and climb up. Than you gotta climb over a wall and down a ladder into someone’s back yard. Wow.. the lady was wearing a skirt and she walked so effortlessly! 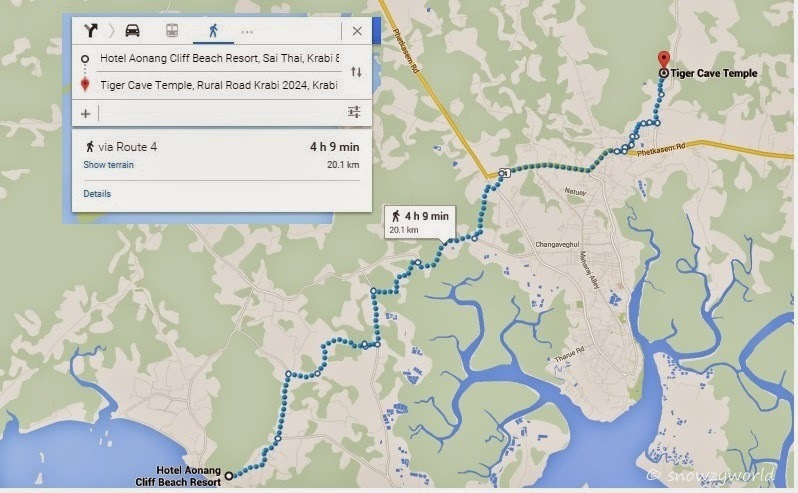 I wondered how Google map managed to plot this one little route for us.. hmm.. 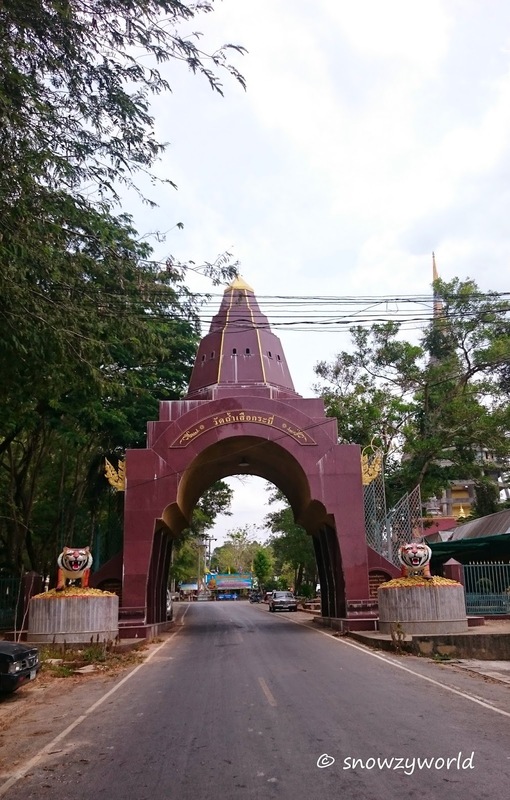 Anyway, after this mini adventure, we reached the main road and it was just 600 metres more to the temple. We reached the temple’s entrance at around 12+pm and decided we need a meal first before the next obstacle! 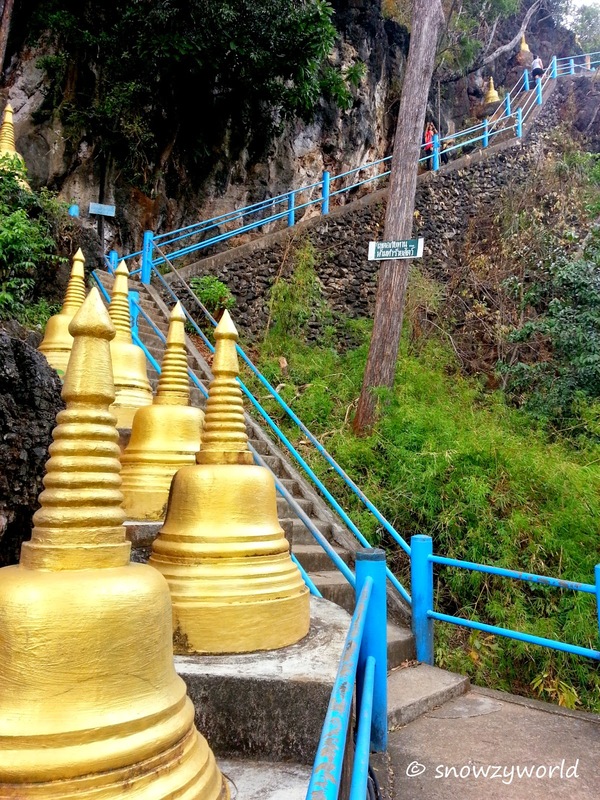 There’s much to explore in the temple, including limestone caves housing Buddha images, statues and altars. We were more interested in what’s on the hill top! 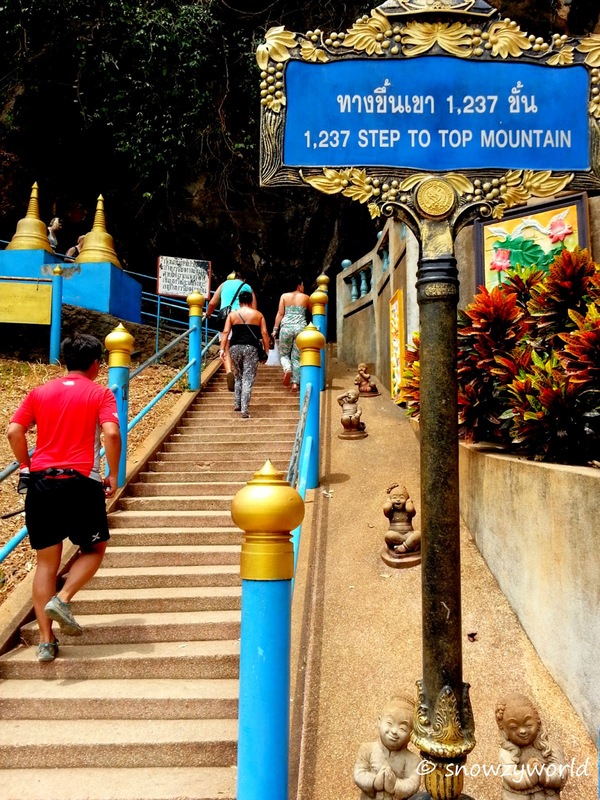 To get to the hill top, you will need to climb 1237 steps up. 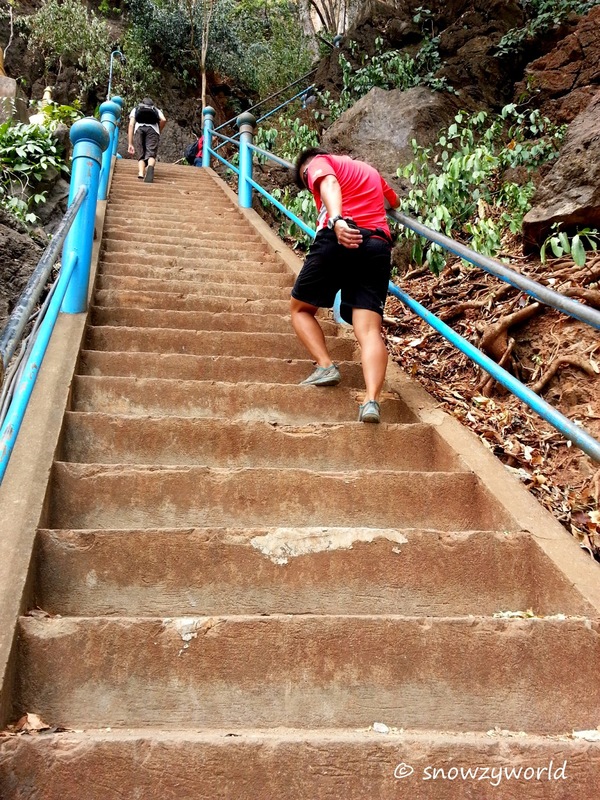 Not easy as most of the steps are steep, like our Bukit Timah’s killer stairs nightmare!, and not to mention that we just ran a 20km here! Tiring.. especially when the steps are steep! However, the view at the 600m karst peak is spectacular! 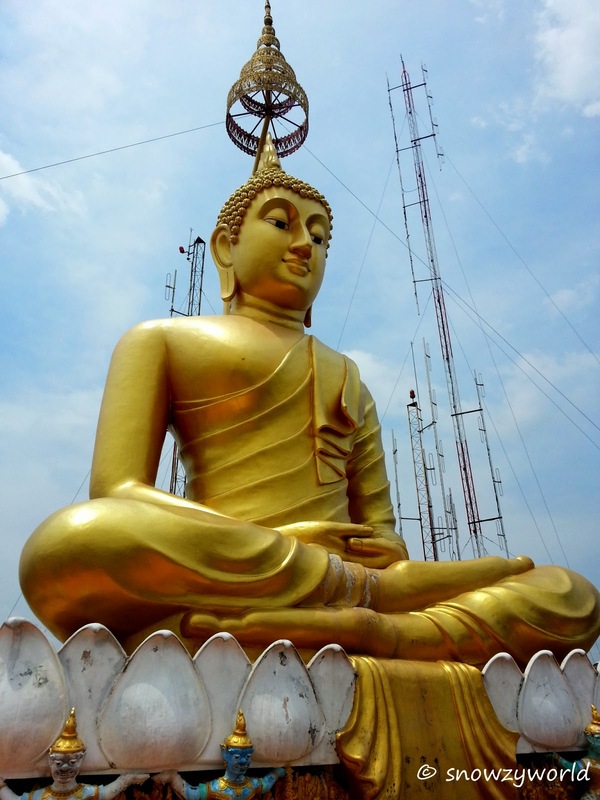 There’s also a gold Buddha statue and a gilded stupa.